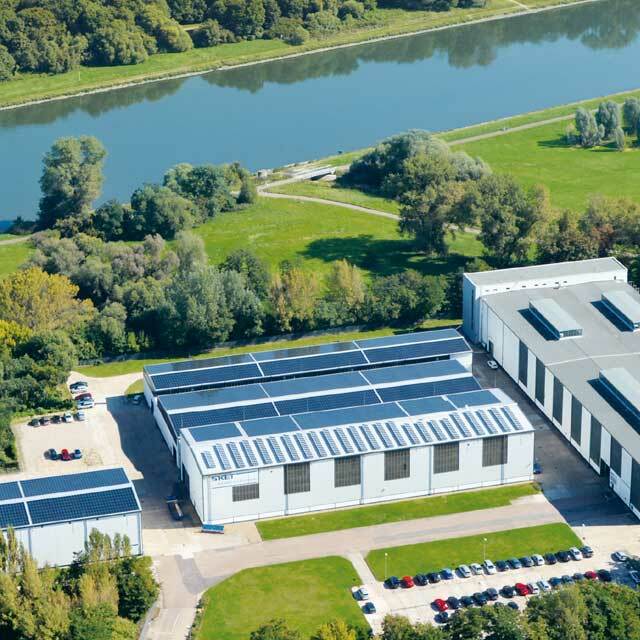 SKET Verseilmaschinenbau GmbH in Magdeburg is a company with many years’ experience in the manufacture of cage-type stranding machines with back-twist. 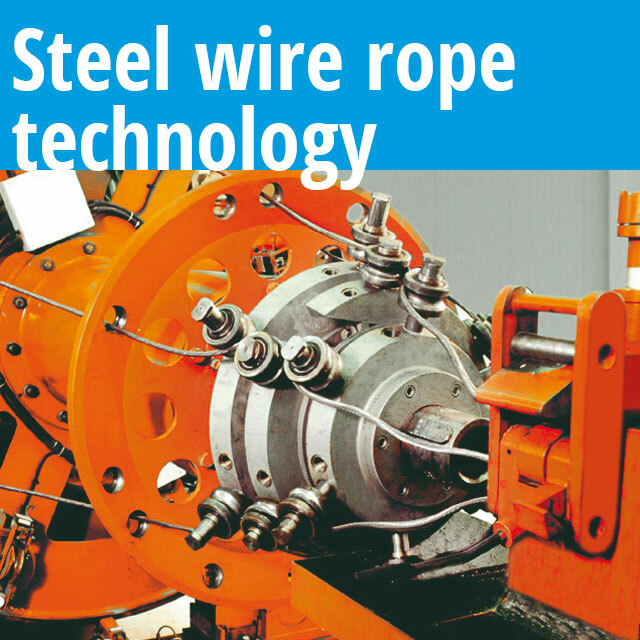 “Planetary Stranders” occupy a key position in a wide and comprehensive range of machinery and equipment for the manufacture of electric cable and steel wire rope and have a resultantly important role to play in the SKET delivery programme. 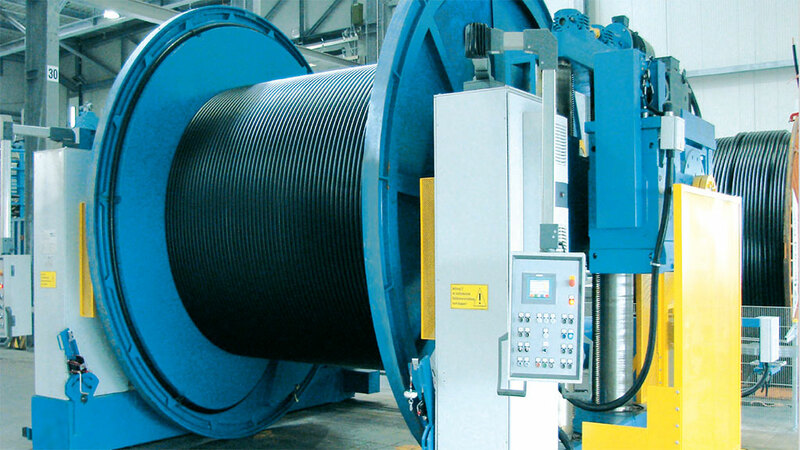 In addition to machines for the traditional areas of application in the cable industry, SKET supplies cage-type stranding machines especially for the manufacture of OPGW and Fibre Optic Submarine Cables. 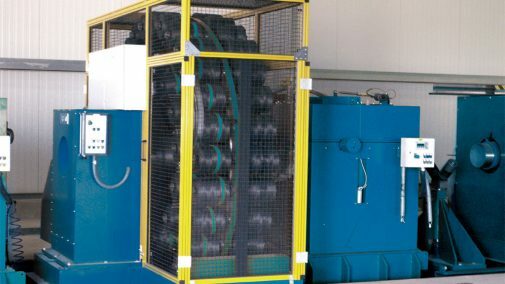 SKET cage-type stranding machines offer a maximum in output performance and are particularly known for their proven reliability for a wide range of applications. 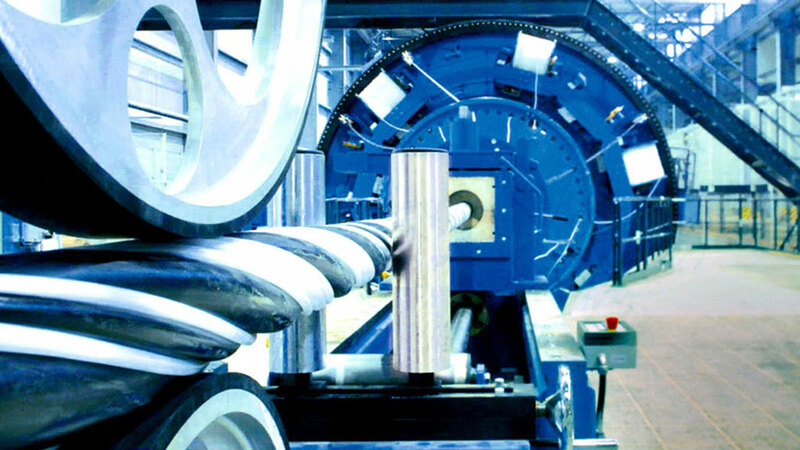 As is the case with all SKET Verseilmaschinenbau GmbH products, MKRD/MKVD cage-type stranding machines are the subject of continuous development ensuring that they meet the current technological needs of cable producers. 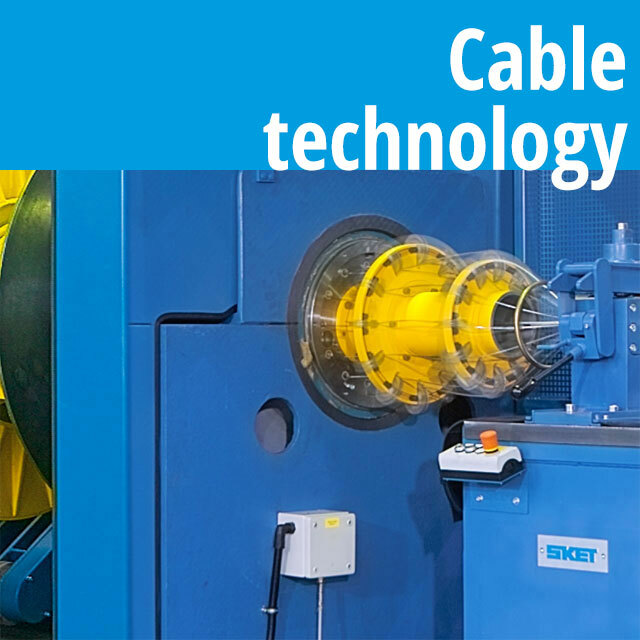 They are designed to meet all demands of modern cable manufacture. Cage stranding machines with back-twist are used to strand non-rotating cable or high-tensile or hard drawn round wires. The machines are completed with pay-offs, take-ups, haul-offs, die stands and other ancillary equipment assemblies. Depending on the technological requirement, the machine comprises one or more cages. The bobbins are accommodated in the cages in cradles. The number of bobbins accommodated in each stranding cage depends upon the arrangement of the cages and is tailored to the specifics of the technological requirement. 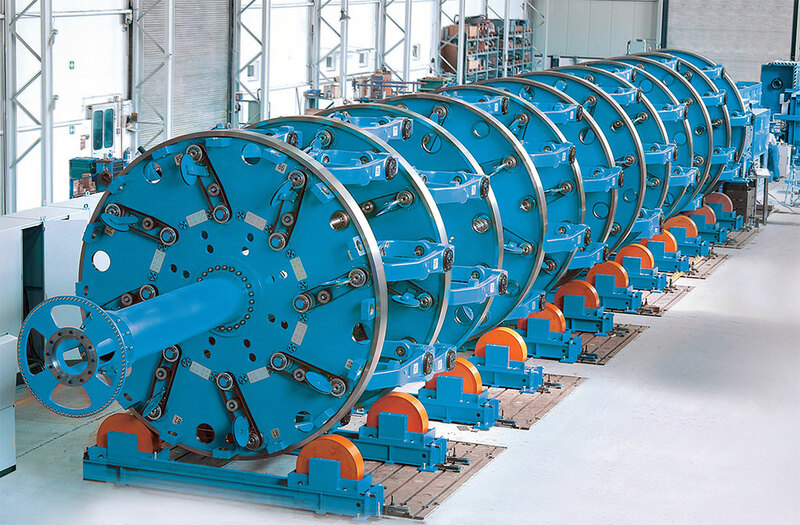 For bobbins having a flange diameter of up to 4500 mm and a capacity of up to 80 tonnes, accommodation between pintles without centre shaft, stationary or traversing type, no requirement for a special foundation, driven, dancer or drum-fill monitored brake control. Stranding bobbin dimensions from 400 to 1000 mm flange diameter for standard machines. Special designs available with up to 4500 mm flange diameter. Machine bearing system: Underroller type with the stranding cage supported on underroller bearings. Compact design with the stranding cage supported by bearings housed in the main drive stand and the outer bearing support stand. 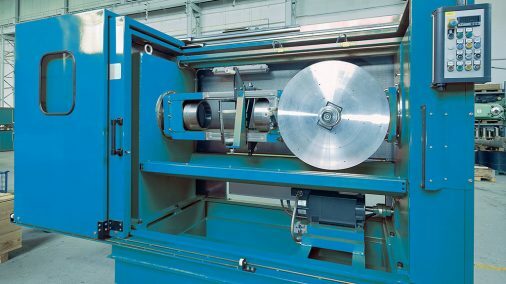 Double-capstan haul-offs with capstan diameters up to 5000 mm and pulls up to 500 kN depending on machine configuration designed as brake-controlled haul-offs with integral load cells. 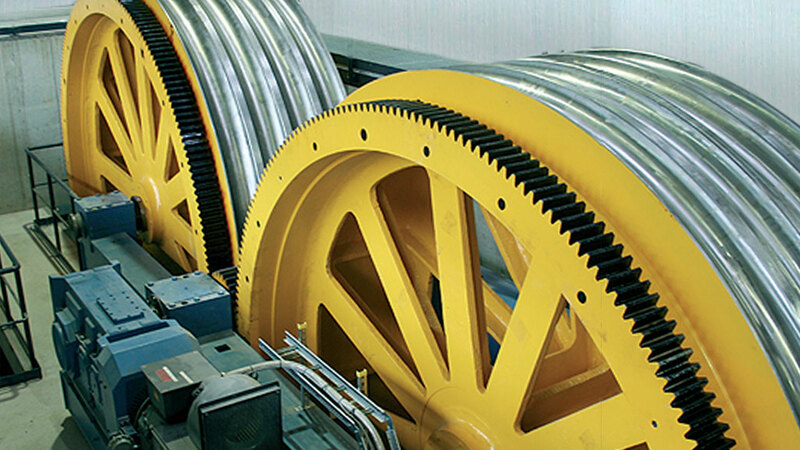 Single-capstan haul-offs with capstan diameters up to 3000 mm and pulls up to 60 kN with electromotor control of the fleeting ring, belt-type haul-offs for sensitive products, with pulls up to 75 kN, or up to 300 kN when several haul-offs are linked with one another. For drums having a flange diameter of up to 5000 mm and a capacity of up to 100 tonnes, accommodated between pintles without centre shafts, stationary or traversing type, with no need for a special foundation. Depending on the technological requirement, the machine comprises one or more stranding cages. As a result, SKET is able to tailor-make and supply cage-type machines for stranding a maximum of 150 single wires meeting all specifi c customer needs.